Growing up on a family farm allowed Libby Martin, a first year veterinary medicine student and CEO and founder of Calving Technologies, to see firsthand the problems during calving season for Missouri farmers. Martin developed a solution for this growing hardship — a collar that tracks cattle during calving season to provide farmers detailed information on their herd. 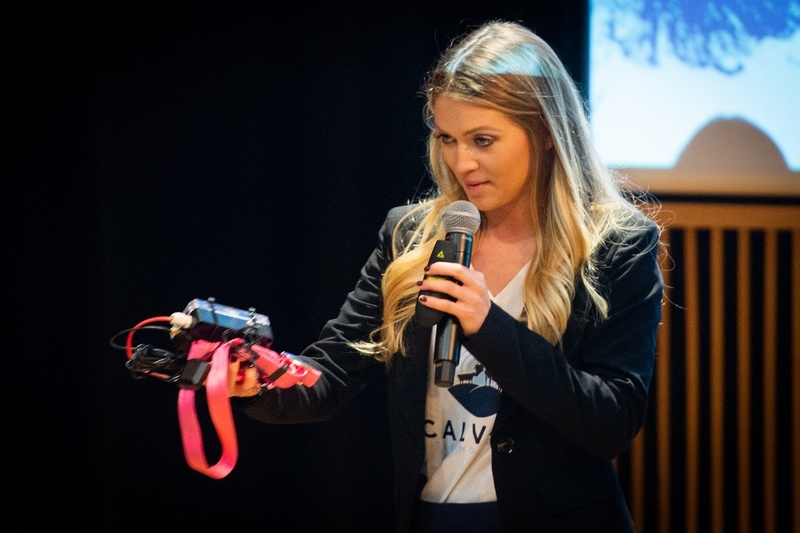 Libby Martin, a first year veterinary medicine student and CEO and founder of Calving Technologies, shares her prototype collar with the judges. 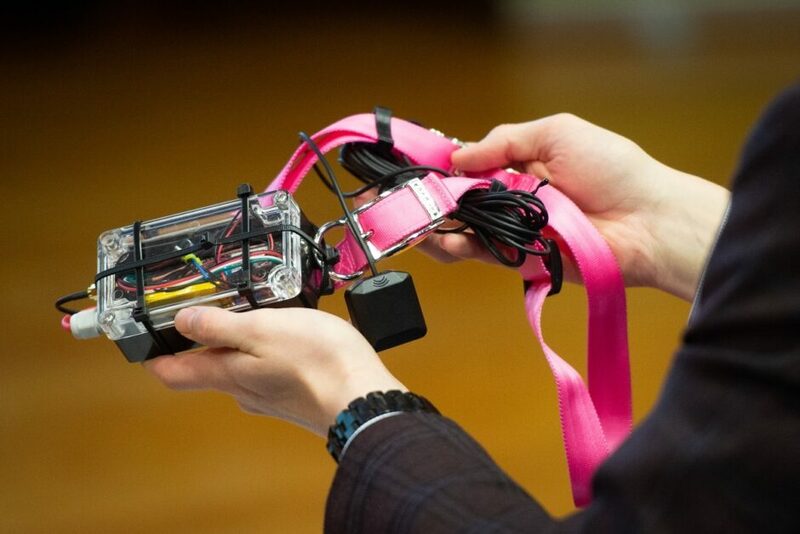 Martin, who won Mizzou’s Entrepreneur Quest program, developed a collar that tracks cattle during calving season to provide farmers detailed information on their herd. 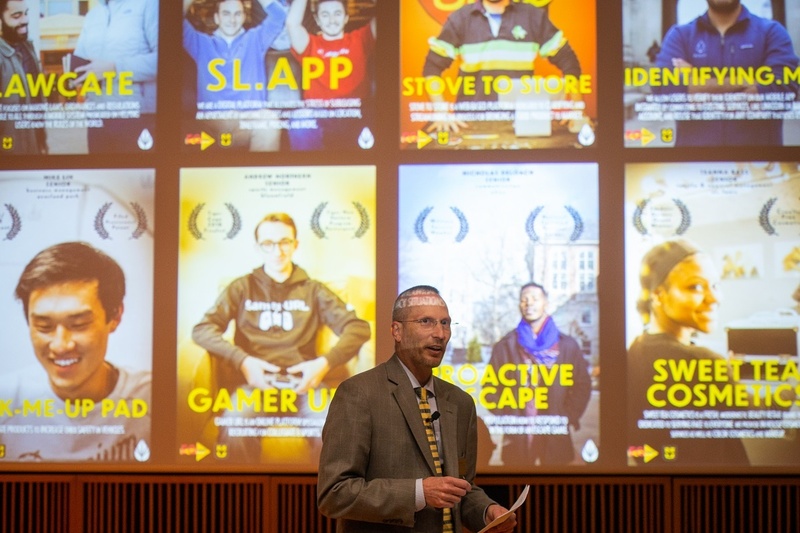 For eight weeks, 10 teams of Mizzou students researched and tested their business idea to reach this point — a 10-minute pitch to established business professionals, much like on the television series Shark Tank, for a chance to further the dream and win thousands of dollars. First place took home $15,000 in startup funding, second place took $10,000 and third place walked away with $5,000. Following the competition, Martin had some exciting news to share with her family in California, Mo. — she had won $15,000 in funding for Calving Technologies as the winner of Mizzou’s Entrepreneur Quest program. Greg Bier, director of the Entrepreneurship Alliance at MU, delivers the welcome address at the start of the competition. 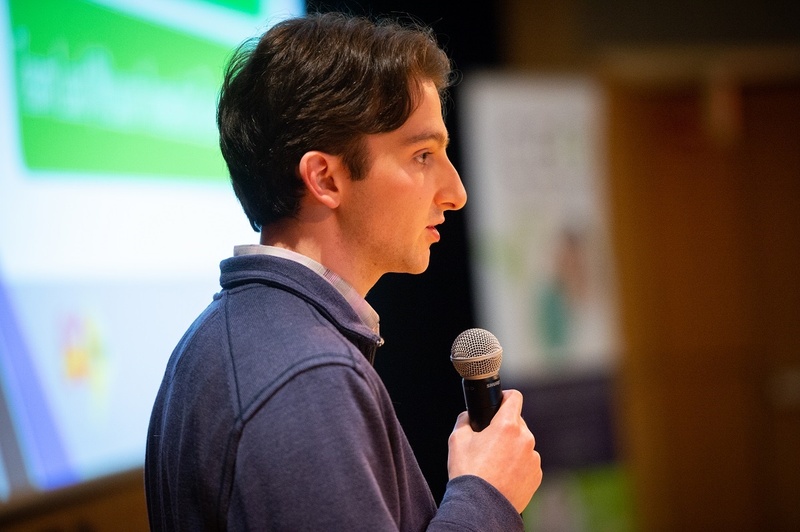 The top three teams chosen by the judges each gave presentations with cutting-edge ideas and a thoroughly researched plan for the future of their startups. Teanna Bass, a senior studying textile apparel management, is the CEO and founder of Sweet Tea Cosmetics. Her beauty retail brand was awarded second place at the competition. 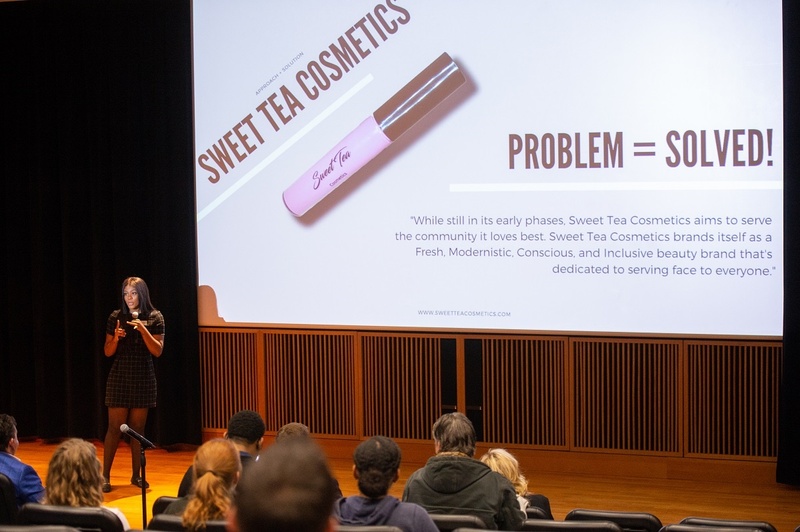 Sweet Tea Cosmetics is transitioning to a fully digital presence. Bass and her team plan to drive sales and reach underrepresented groups through a makeup subscription service. Teanna Bass, a senior studying textile apparel management, is the CEO and founder of Sweet Tea Cosmetics. Her beauty retail brand was awarded second place at the competition. Sweet Tea Cosmetics is transitioning to a fully digital presence. Clayton Cary, a senior studying business administration, and his team finished third with their business idea, Infoproduct. As a self-described “Yelp of online education,” this website provides product reviews for e-books, online training sessions and online classes. In addition to their cash prizes, Martin is receiving an additional $10,000 from the College of Agriculture, Food and Natural Resources, Bass is receiving an additional $6,000 from the College of Human Environmental Sciences and Cary is receiving an additional $3,000 from the Trulaske College of Business. On April 5, these three students and their teams will compete against other University of Missouri System student teams for another chance at $30,000 in cash prizes. The other universities within the UM System are University of Missouri – Kansas City, Missouri University of Science and Technology and University of Missouri – St. Louis.